Yesterday we reported about the first leaked promo video and images of the upcoming Mi 9 Explorer Edition. Looks like, we now have the leaked pricing of the upcoming Mi 9 Explorer Edition along with most of the device specs. A new poster has been posted by a Weibo user on its account. The shared poster reveals the same Mi 9 Explorer Edition that matches with the image we have shared in our previous post yesterday. However, the new poster denise the fact, that the Mi 9 Explorer Edition will feature a triple rear camera setup, as it is shown in the promo video and the images. UPDATE: The Mi 9 Explorer Edition will also feature a triple rear camera setup (Not Four, 4) just like the regular Mi 9 variant. See below Tweet. 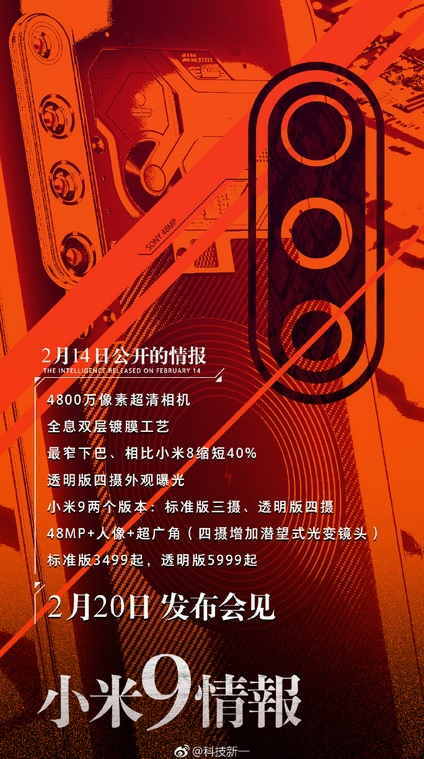 The poster reveals that the Mi 9 will be priced at ¥3499 (~$516) Around Rs. 36,000 INR, while the Mi 9 Explorer Edition will be priced at ¥5999 (~$885,) which is Around, Rs. 63,000 INR. The poster also confirms that the Mi 9 Explorer Edition will come with wireless charging support, similar to the regular Mi 9 variant. As you can see on the poster above, the Mi 9 Explorer Edition also has the wireless charging coil at its back. A recently leaked Mi 9 image with its retail box confirmed that the Mi 9 will come with 20W fast charging support, Snapdragon 855, 6.39 AMOLED display and a 48-megapixel camera. 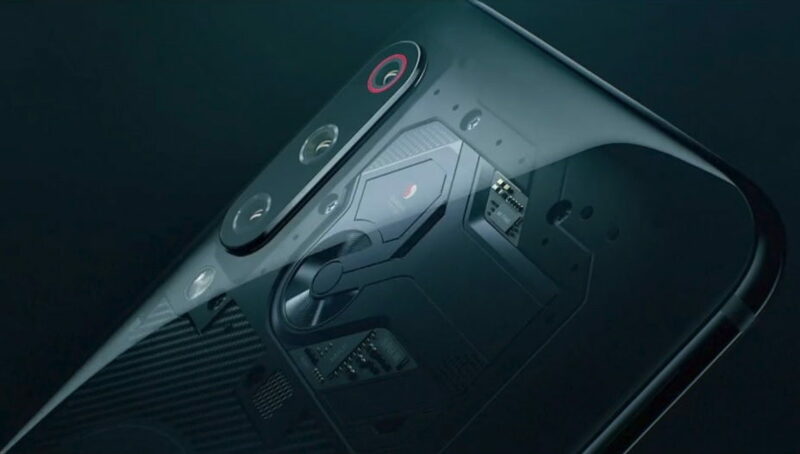 Both the Mi 9 and the Mi 9 Explorer Edition will feature a triple rear camera setup, out of which one will include a 48-megapixel main camera with ultra-wide lens. Both the devices will be powered by Snapdragon 855 processor. However, we are not sure about the screen size of the Mi 9 Explorer Edition.